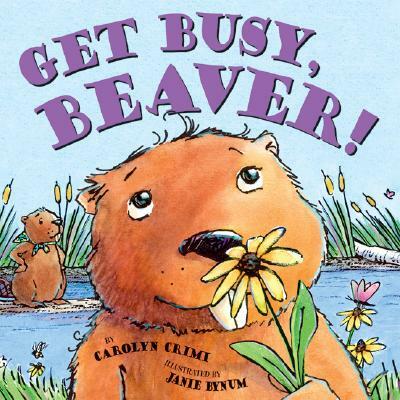 GET BUSY, BEAVER! is the adorable story of Thelonious Beaver, who doesn't fit in. But as he continues to do the things he loves, the other beavers realize how wonderfully special Thelonious is. Thelonious isn't like the other beavers. He's a little different. While Ma, Pa, and Babs Beaver hurry, hurry, hurry to make their dam bigger, bigger, bigger, Thelonious is busy with a project of his own -- a creation so beautiful that it changes everything. And soon all the beavers in Thelonious's pond join him, as they take a moment to stop and smell the flowers.